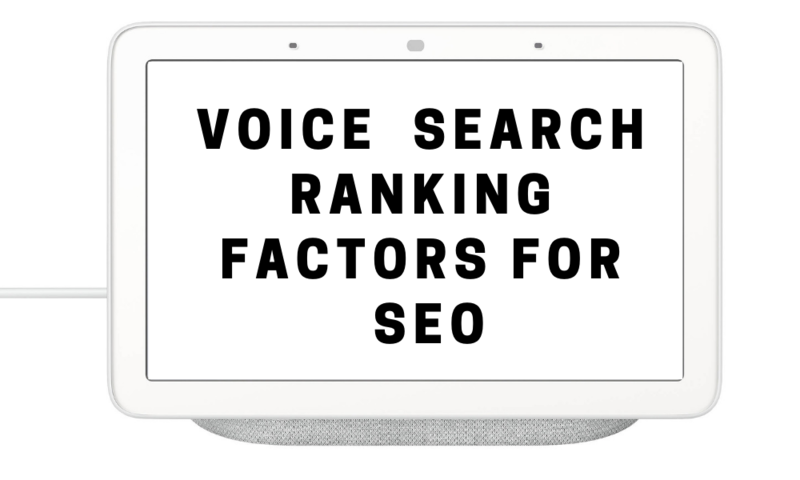 Backlinko have recently done an in-depth analysis of “Voice search ranking factors” and found 11 variables tied to appearing in Google Home results. The company examines over 10000 results delivered through the smart speaker. What Backlinko have found, stays consistent with what many other companies have been reporting, but there were also a few surprises. An example of this, the study discounts the impact of Scheme and Page Authority to some degree. PageSpeed is a significant factor; voice search results typically come from faster-loading pages. Backlinko found that the page-load time for a voice result was almost twice as fast as traditional webpages. Not surprising. What may be a surprise are the findings around Schema. 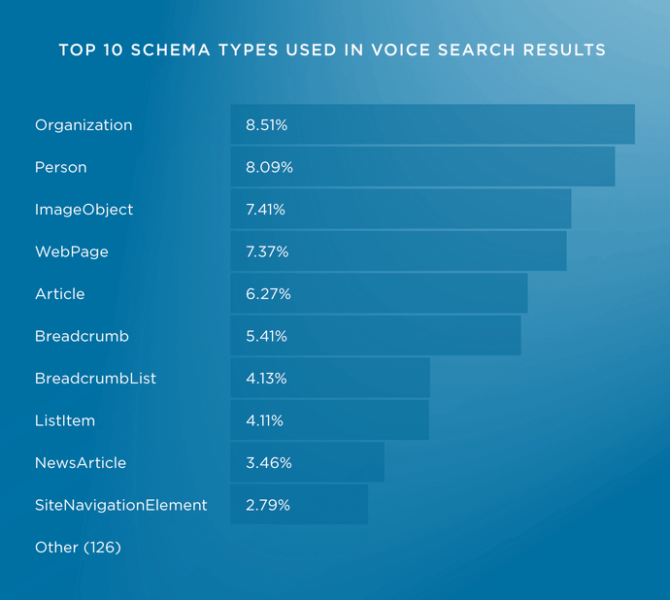 Below are Backlinko’s findings around Schema distribution in voice search results. There are plenty of reasons to use Schema in general so this finding shouldn’t be seen as a discount against it. It may also be that Schema pages don’t appear more because they aren’t more prevalent and there are other important variables. 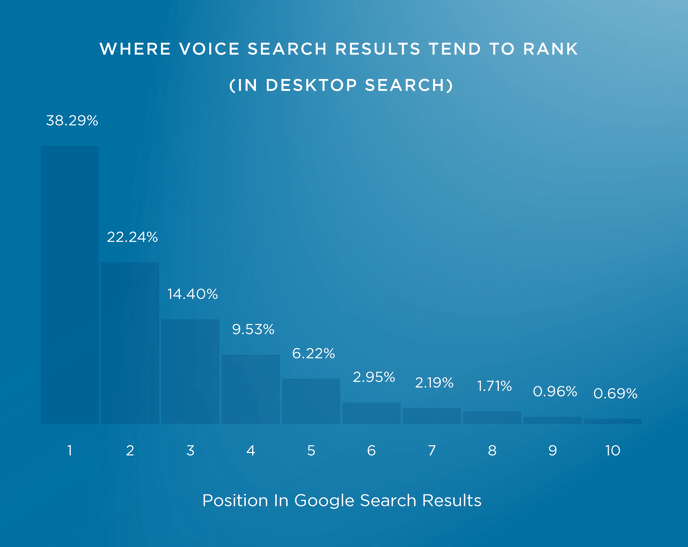 Among them, links matter for voice results as well. Domain authority was quite high, whereas page authority was rather low in comparison. We discovered that the average Domain Rating of a voice search result was 76.8% . . . we found that the link authority of voice search result pages was significantly lower. In fact, the mean Page Rating of a voice search result was only 21.1. Backlinko have thought that the voice algorithm was looking at domain authority, over page authority, because it provides a higher level of confidence with the accuracy of results. Regardless, virtual assistants are emerging as an important consumer discovery tool and marketers need to take these platforms seriously and adapt to them. In Google’s case, the Assistant (which powers Google Home) is now available on 400 million devices.